What Is “Nonviolent” about Nonviolent Communication? 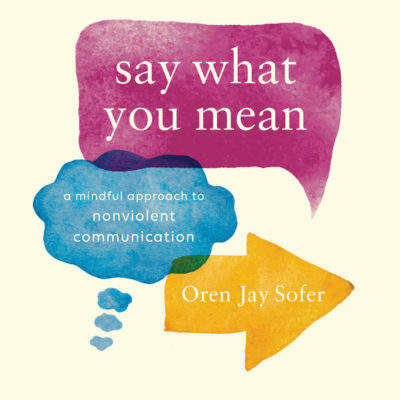 For a summary of Nonviolent Communication, click: here. “Much of what passes as Christianity is a negation of the Sermon on the Mount,” Gandhi said in a famous lecture to the YMCA in Ceylon in 1927. Gandhi: “Although I have devoted a large part of my life to the study of religion and to discussion with religious leaders of all faiths, I know very well that I cannot but seem presumptuous in writing about Jesus Christ and trying to explain what he means to me. I do so only because my Christian friends have told me, on more than a few occasions, that for the very reason I am not a Christian and that (I shall quote their words exactly) “I do not accept Christ in the bottom of my heart as the only Son of God,” it is impossible for me to understand the profound significance of his teachings, or to know and interpret the greatest source of spiritual strength that man has ever known. Although this may or may not be true in my case, I have reasons to believe that it is an erroneous point of view. I believe that such an estimate is incompatible with the message that Jesus Christ gave to the world. For, he was certainly the highest example of one who wished to give everything, asking nothing in return, and not caring what creed might happen to be professed by the recipient. I am sure that if he were living here now among men, he would bless the lives of many who perhaps have never even heard his name, if only their lives embodied the virtues of which he was a living example on earth; the virtues of loving one’s neighbour as oneself and of doing good and charitable works among one’s fellowmen. Dr. Martin Luther King, Jr. speaking at the Civil Rights March on Washington, Aug. 28, 1963. On a ‘Heterodox’ approach to a Nonviolent Ethos…. Nonviolent Communication — and that is what this blog is primarily about, communication/dialogue — is often taught by certified trainers who have, at their core, adopted Gandhi & King’s nonviolent ethos as a principle. I have tremendous regard for the singlemindedness of their focus and do not intend to detract from the conviction this honorable tradition represents. However, I have found that, speaking for myself only here, I would have likely dropped any apprentice to NVC if not for seeing an interview — relatively early on in my studies — depicting Nelson Mandela’s alternate path and affiliation with nonviolence as a tactic. This has afforded me more spaciousness, a broadened repertoire from which to draw upon in my dialogic forays, and helped me stay on what would otherwise have been too slippery a path for my foothold to grip. I offer said interview referencing Mandela’s notion of nonviolence as a tactic (subordinate to an overarching principle), directly beneath, in case it is of value to anyone else as a practitioner of NVC. In a sense, this is in keeping with viewing NVC as a strategy, rather than a need (a relatively noncontroversial statement). My particular take may not be in alignment with what Marshall Rosenberg intended to impart, however he might yet have appreciated the exploration. Have a core principle; everything else is tactics. Mandela’s principle was equal rights for all, regardless of race, class or gender. CHARLIE ROSE: The other thing that he had was some sense of what comes across here is the steel that was there. CHARLIE ROSE: And he often said to you that everything — it wasn’t about principle, it was about tactics. CHARLIE ROSE: So you can violate that. RICHARD STENGEL: That’ right. And he did. When he became the leader of the ANC’s military wing he violated that, because he felt to achieve his great goal he needed to do that. And that was just a tactic. A lot of us would say, no, that’s a principle. He would say that’s a tactic.